The Kane Vato Pia Muehlenbeck wedding dress code is genius. 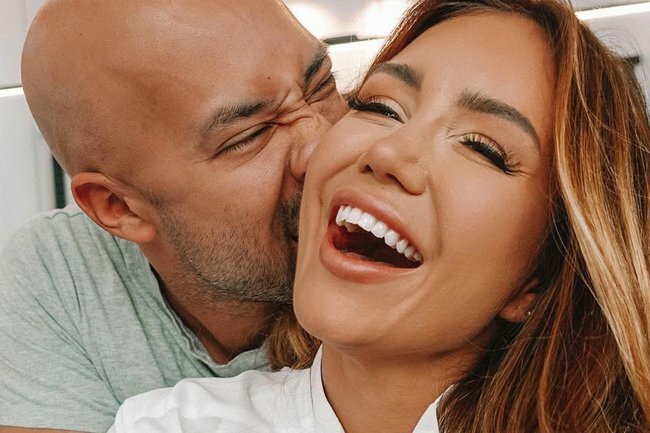 The unconventional way influencer Pia Muehlenbeck created the dress code for her wedding. Wedding dress codes are divisive. Women and men alike agonise over the particular details of what they’re actually meant to wear. You can’t wear white, right? Is black morbid? WHAT ARE THE BRIDESMAID’S WEARING? What really is ‘smart casual’ in a wedding setting anyway? Earlier this month in Byron Bay, lawyer and social media influencer Pia Muehlenbeck married her creative director husband Kane Vato. The celebration of 100 people was impeccably planned down to the very last detail, including, of course, the dress code. In the lead up to the big day, Grazia reports that the happy couple provided guests with a “mood board” to inspire their outfit choices. Based on the incredible photos, which you can peruse at Grazia, the mood board appears to have encouraged earthy, neutral tones. And it immediately paid off. The photos are incredible, and the palette is undeniably effective. Australian celebrities Steph Claire Smith and Anna Heinrich both wore earthy tones, with Anna wearing an off the shoulder dress and Steph wearing a simple dress with a high slit. What a spectacular day & look at that backdrop!!! Thank you #PiaAndKane #weddinglove #Figtree ???? ???? Dress: @rachelgilbertau Shoes @tonybianco H&M: Me! The 27-year-old’s wedding gown was Pallas Couture, and took over 800 hours to construct. It’s safe to say the wedding dress was incredibly delicate, and a representative from the label personally flew the dress to Byron Bay. The wedding looked incredible, and it appears there was a feminist twist. Judging from Kane’s Instagram, where he refers to himself as Mr Muehlenbeck, he appears to have taken Pia’s last name. Now that’s something to celebrate.